Never lose a ball again! With the goal of delivering more than a “smart ball” that golfers won’t lose in the woods, OnCore Golf have created a golf ball with GPS embedded in it. Plus, they have expanded the core technology and unique materials experience to embed high-performance electronics within the ball itself. 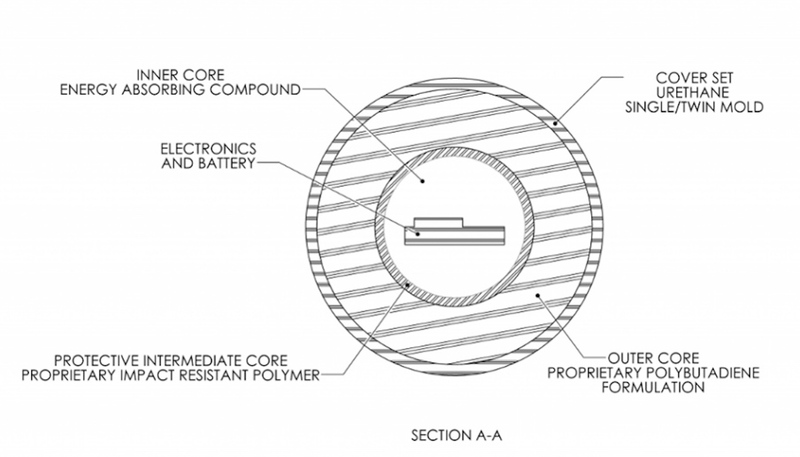 The company was issued a U.S. patent in August covering the construction of a high-strength and high-stiffness core that can handle sensitive electronics and the whiplash of a finely struck drive. 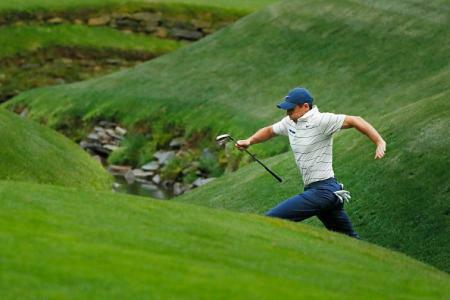 The result is a golf ball that – in actual real time – captures and transmits data directly to a mobile device. Accurate to a foot, OnCore’s Genius Ball will track the ball’s performance and statistics on every shot, from distance and height to ball velocity and course location. We'll be there at the PGA Show in Orlando, January 2018 to see for ourselves, as OnCore promises to have a fully ready prototype at the Show. "We're confident that what a launch monitor can do for a golfer on the driving range is what the Genius Ball will do on every hole and for every shot," says OnCore Golf co-founder Bret Blakely. 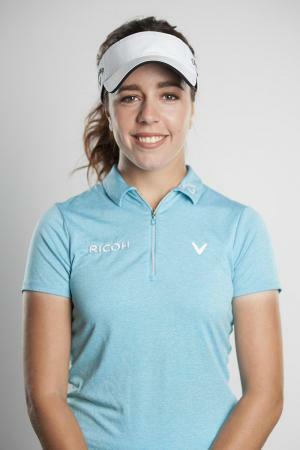 "Golfers crave technology and information, and our new 'Ball with a Brain' will deliver both." The Genius won't be cheap. The current plan is to offer sleeves of two golf balls for $49.95. You'll have to work out for yourself if that is good value compared to the amount of ProVs and TP5s you're currently filling your local golf course lakes with. With the Genius Ball, players will know the distance between their ball and the middle of the green (as well as left, right, front and centre) whether they are on the tee box or anywhere else on the course. 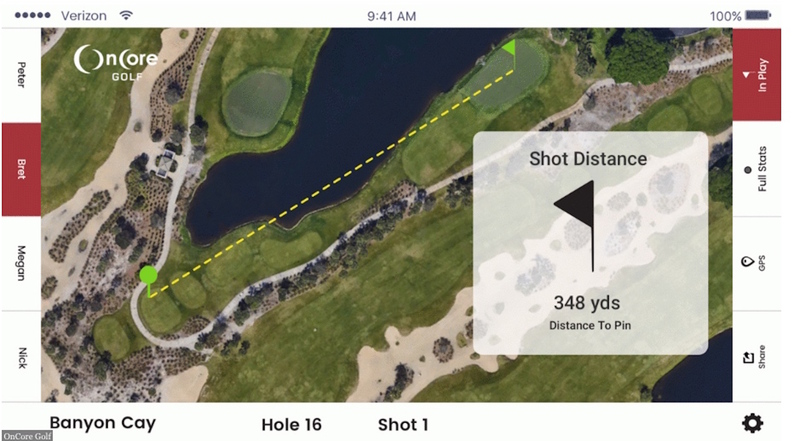 Golfers will also be able to track and view their ball flight trends and compare to previous shots. 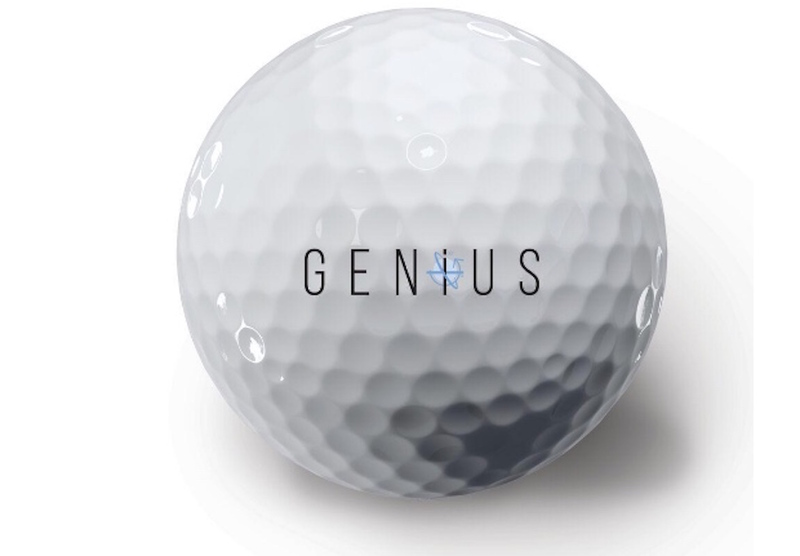 With the use of a Bluetooth 4.1 connection, the Genius Ball will pair with a user’s mobile phone (iOS, Droid, Windows and Browser) through a small device that’s about the size of a pager and can be placed in or on a player’s bag, pocket or belt. This is a clear advantage to some current devices which have to stay in your pocket in order to register your shots. 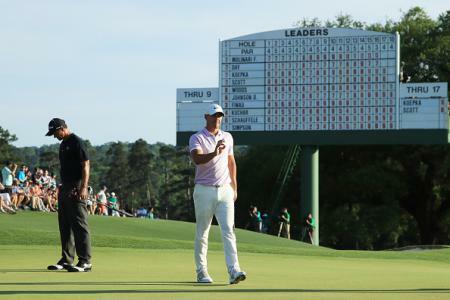 "We realize the customer is there to play golf, not to interact endlessly with their mobile device," Blakely said. "As such, most functions will be at a glance, with the option to drill down on data if desired." I don't know about you but I fancy this. Forget the fact that you won't keep having to buy new golf balls, you'll be in play so much more often. All we need now is for the balls to answer to the cry of "FORE!!!" 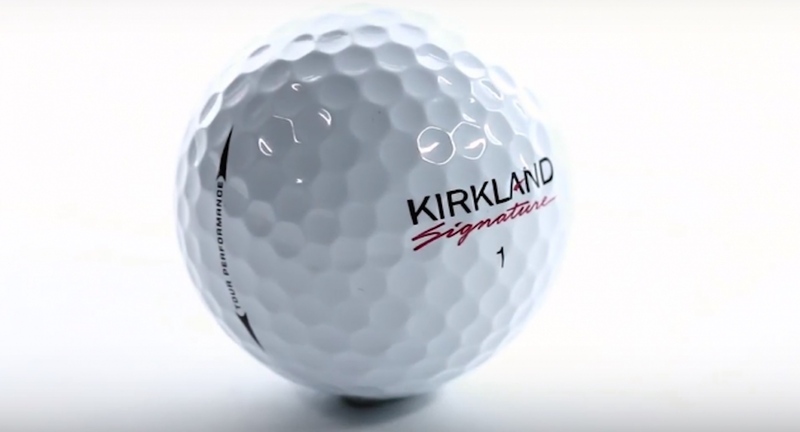 Acushnet takes the fight to Costco over the Kirkland "ProV"